Along with fellow American Tom Doak, Bill Coore is one of the most respected and admired golf architects in the industry today. Where Doak is an outspoken anti-establishment type with forceful views and an unbridled self-confidence, Coore, by contrast, is a modest, mild-mannered designer with impeccable credentials yet, on occasion, an almost reverential insecurity about his profession. Both men have a devoted following among golfing connoisseurs the world over. 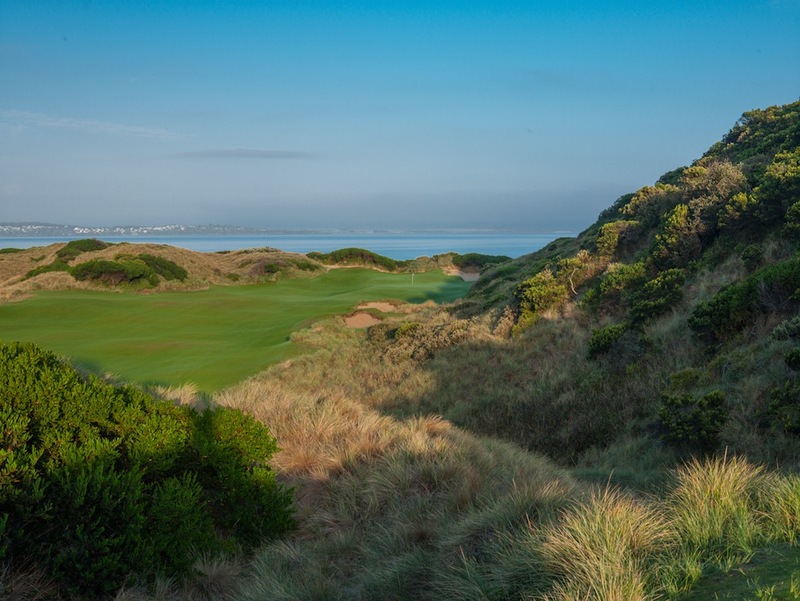 Both also boast a design in play at Barnbougle Dunes, Australia’s most internationally regarded public access facility, located on Tasmania’s northern coast. Coore’s Lost Farm course at Barnbougle is built among the tallest sand hills on the site, west of the estuary that runs alongside the famous 15th hole on the previous course. The name Lost Farm refers to a flat central paddock on the site, a place where farmers would find missing cattle sheltering from the elements. Like at the first course, this property belongs to local spud grower Richard Sattler, who was mentored on the expansion by Bandon Dunes founder Mike Keiser. It was Keiser who pushed the development of the second course here and Keiser, as much as anybody else, who convinced Sattler that if he wanted to match the standards of the first layout he needed to engage Bill Coore. What’s interesting about the development of Lost Farm, when compared to Barnbougle Dunes, is that Coore spent much longer on site here than Doak did when building the first course. That’s not a slight on Doak, but instead an indication of how hands-on Coore is when it comes to design, and also how much more complicated the routing puzzle was at Lost Farm. 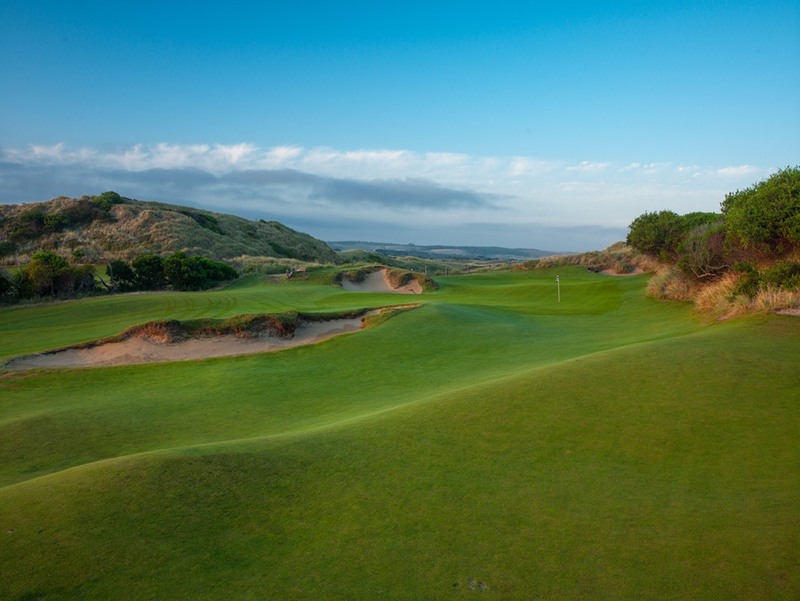 The complication stems from the fact these dunes are taller than at Barnbougle. The valleys between them are also broader and the site available for golf was larger and stretched further inland. These factors gave him the opportunity to do something Doak would have loved to on his course, and that is arrange the golf so that holes run to all points of the compass, rather than predominantly east and west. On the downside, he had to figure a way of setting golf amongst such enormous sand hills, without making it unplayable. Coore’s final routing is nicely balanced and mixes an opening and closing stretch across the flatter Lost Farm paddock, with a diverse group of holes weaving through the expansive valleys. There are also a handful of genuine showstoppers built either right beside the water or atop the beachside dunes. 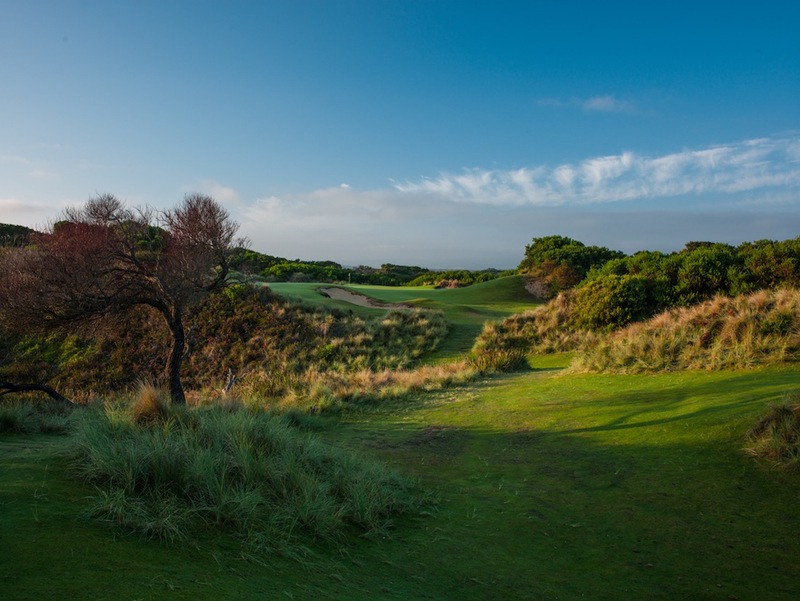 The first such hole is the gorgeous par three 4th, which overlooks the Barnbougle course. Known as Sally’s Point, this is apparently where Sattler’s wife had wanted to build her dream home. The next is a monstrous par four that curves along the estuary toward a dramatically collapsing green perched right beside the water. From the tee the fat part of the fairway is completely hidden by a 60-foot dune that must be carried by anyone hoping to get home in two. Like the other glamour holes at Lost Farm, this one is playable for the weaker hitter and a dream come true for those strong or bold enough to be tempted to bomb a drive over the top of the hill. 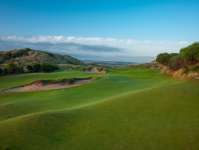 The final ocean holes are the 14th and 15th, which are squeezed between Bass Strait and an 80-foot sand ridge that houses the Lost Farm restaurant and health spa. The 15th is a picturesque par three that drops from near the beach toward a green benched into the side of this mammoth ridge. It’s preceded by Lost Farm’s star attraction. Played directly at the roaring ocean, the 14th is a wonderful short par four with a generous fairway but a skinny, concave green that is best attacked from a narrow right-hand shelf. For those unwilling to flirt with bunkers, hitting left means a flick wedge approach shot into a green now significantly above your feet and only a few paces wide. As with Coore’s more sinister 14th hole at Bandon Trails in the USA, this is one of those rare modern gems that mix great beauty with sound strategy and originality. One of the strengths of Bill Coore’s work is that he doesn’t artificially dissuade aggressive play by complicating his design or adding unnecessary hazards. It’s true the green sites have loads of internal movement, but mostly the undulations are extensions of the natural contours and can be used in your favor to sweep a ball toward an apparently tricky pin. 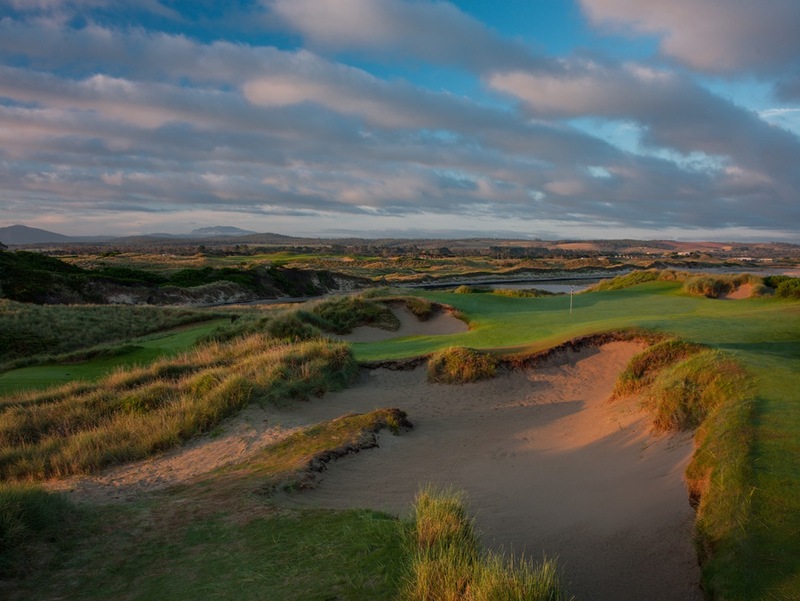 Time and time again at Lost Farm, as at Barnbougle Dunes, if you gamble on the scoring holes and play well you end up with a simple birdie, or better. If you fail to execute, however, the punishments can be severe, and also demoralizing given how generous the golfing corridors are. Among the better holes away from the more appealing duneland are a couple of strategically arranged par fours across the flatter ground. Both the shorter 2nd and longer 7th challenge golfers to hit toward narrow areas within enormous landing zones. The driveable 3rd is another terrific hole, along with the par three 6th, strong par four 11th and short 13a “Bye” hole, wedged between the 13th green and 14th tee and added because Mike Keiser wasn’t initially fond of Coore’s uphill 17th. Keiser suggested they consider an alternative and when agreement couldn’t be reached on which was superior, Sattler insisted they build them both. He also insisted on adding a betting par three at the end of the round, to bring golfers from the 18th green back to the clubhouse. Whether you mark down a routing with 20 holes or not, both additions are fun to play and add to the very obvious points of difference between the newer Lost Farm and older Barnbougle courses. The fact these two tracks nearly touch at the mouth of the estuary, yet contrast so greatly is testament to the work of Coore here in leaving such a distinctive piece of design. Neither course is better than the other, neither course is worse. 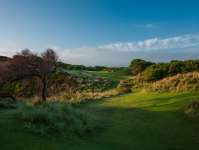 They both enhance the appeal of Tasmania as a golf destination, and should be high on the bucket list of readers.